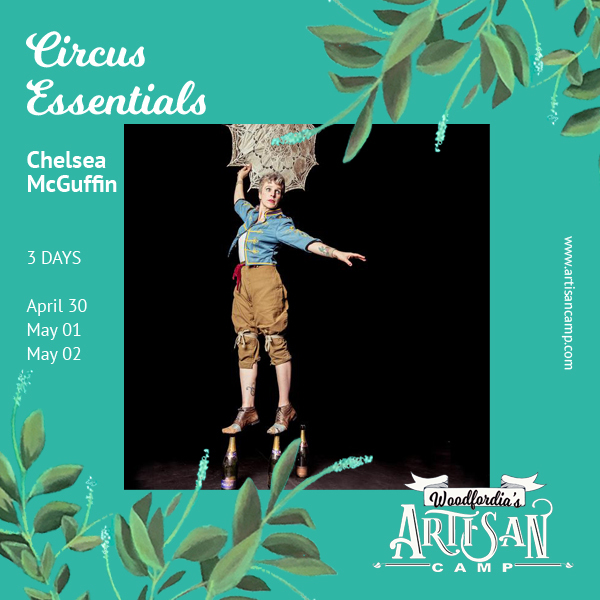 Over the course of three days you will learn a large range of circus skills from both Chelsea and one of her internationally recognised ensemble members. Starting with core work, hand stands and human pyramids. Once you've mastered these basics you'll move on to walking on tight wires and learning aerial skills! There will also be time for an awesome group Jam session so if you have any skill you'd love to learn, or any equipment you've been playing around with such as juggling balls or hula hoops, bring them along! Don’t want the fun to end? We can help! This year’s Artisan Camp is held in the lead-up to The Planting Festival, which begins on FRIDAY May 3 after the final Artisan Feast. Don’t worry, you can sleep in till lunchtime and stay in your tent or van throughout The Planting Festival, and we'd like to offer you 50% off your Planting Festival ticket as a thank you for attending the Artisan Camp 2019.